Throughout a top level, from the nose to the finish. Subtle smoke, green apple, green grapes, a little grass clippings. Phenol is barely noticeable, the focus of the nose is clearly on light fruits and floral notes. Unexpectedly soft start with smoked apple slices, grapes and a hint of flower meadow. Some licorice and oak, but the wood is rather decent. Medium to long, finely smoky and slightly peppery. The green fruits here too, now accompanied by a mild spice mixture and espresso beans. Again a> 90 points Laphi. 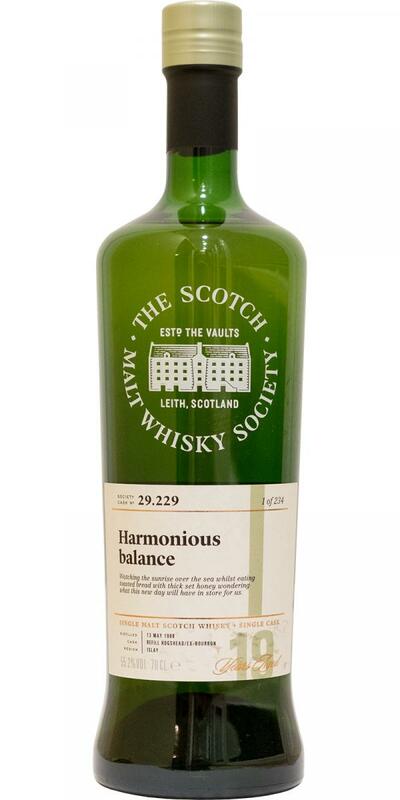 Once my current preference is subtracted, the 29,229 also captivates with a beautiful harmony of salt, sweet fruit, peat, dryness and strength. It's all so fantastically round and nothing is overcharging. The phenolic smoke has diminished for a bit after 19 years to further notes. Some spray and sea breeze flash up again and again! The price alone at around 124-130 pounds is an announcement. With a little oxygen contact it gets even better. Nice bottling. I really liked it. I really liked him even better. This freshness is just good. Relatively fresh nose. Of course the smoke is still there. But something more withdrawn by the age. Nice. I also have grassy, ​​floral notes. Herbal tea with a splash of lemon. Some shortbread. The fruits are light. Green apple and pear. Maybe a bit immature kiwi. In the mouth, the smoke is now stronger, more phenolic and ashen. He fits nicely into the whole thing. Herbal honey. Then a reminder of yellow beet salad with apple and lemon. Natural cloudy apple juice. Green sour gooseberry. Woodruff shower. Then it tingles and ginger spreads. The slight sharpness remains a bit. Bright fruits. Some hazelnut. Tree resin. Salt. Accompanied by the smokiness. With water, it is a lot sweeter and more comfortable. The sharpness also gives way a bit. Interestingly enough, he gets a bit bitter in the finish. Imaging waking up, looking out the tent door pitched on the beach and seeing a glorious sunrise over the sea. We then made breakfast on a driftwood campfire by toasting bread and having it with salted butter and thick set honey. 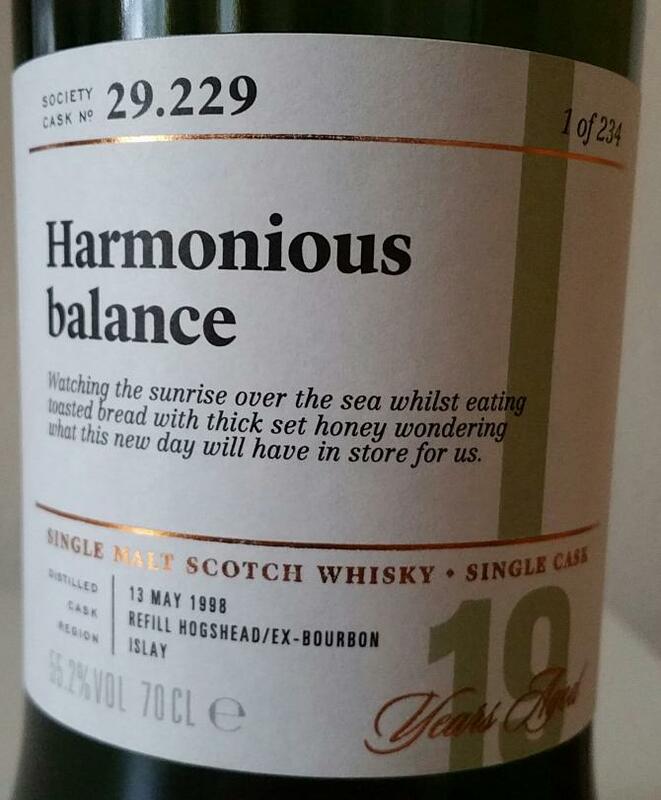 To taste, cigar smoke sweetness at the start, ashy with a hint of tar in the mid palate and a slightly herbal/peppermint finish - all in perfect balance and harmony. When we reluctantly added a drop of water the sun continued getting higher in the sky and the scent of fresh salty sea air made us feel ready for whatever the day had in store for us.